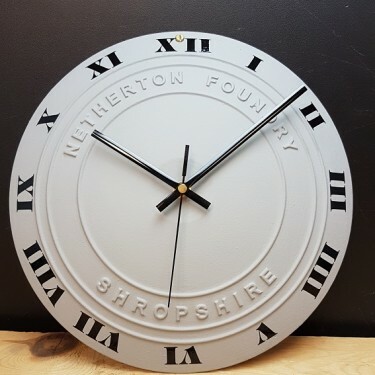 A traditional Netherton Foundry clock design made from cast iron. Cast iron face, hand finished with genuine Farrow & Ball paint. Black Roman numerals and hands. Supplied with a long life AA alkaline battery. 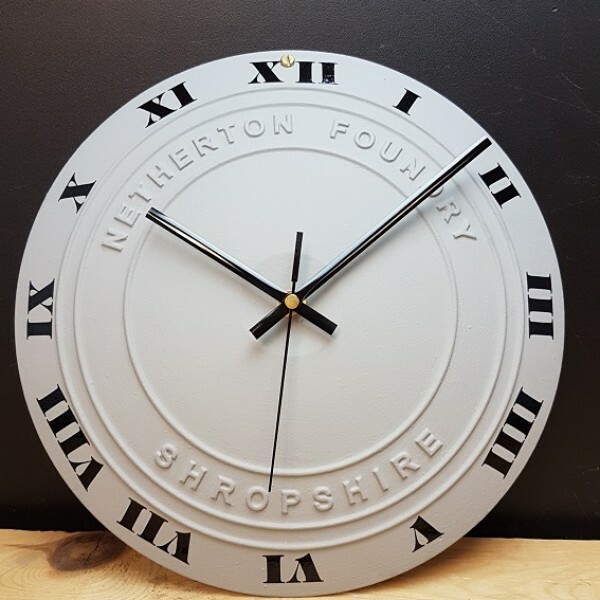 This clock is hand made to special order, so the delivery time is around 1-2 weeks from placing order.